Study 6 Digital pigment print and oil on canvas 72 in. x 72 in. 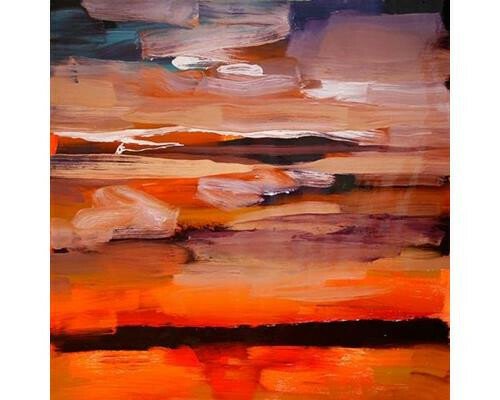 Dark Sunset Digital print and oil on canvas 50 in. x 50 in. Study 2 Digital pigment print and oil on canvas 72 in. x 72 in. 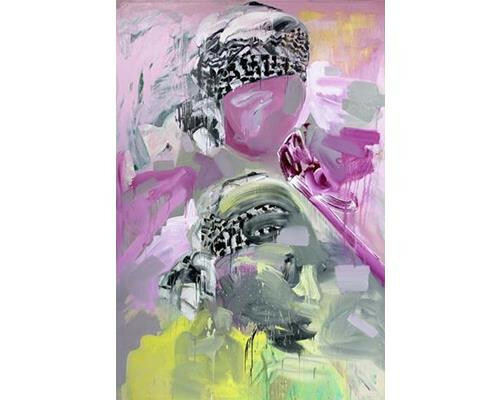 Houndstooth Series Oil on canvas 80 in. x 70 in. Two Heads Oil on canvas 98 in. x 66 in. Green/Red Oil on Canvas 48 in. x 48 in. Study 9 Watercolor, gouache, oil stick, graphite, collage on paper 15 in. x 15 in. 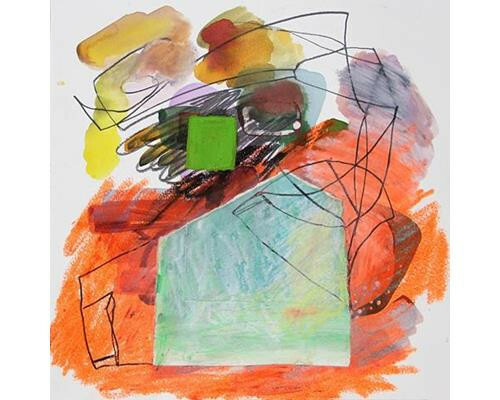 Study 10 Watercolor, gouache, oil stick, graphite, collage on paper 15 in. x 15 in. 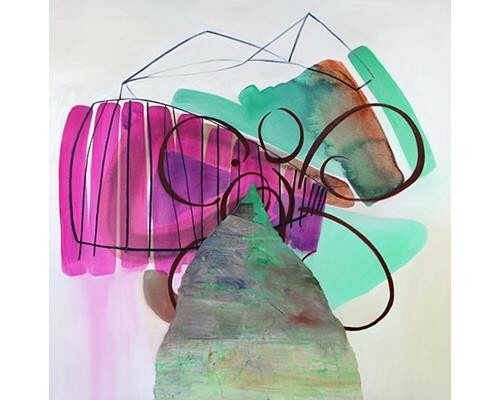 Pamela explores abstraction using pattern, geometric shape, bold color combinations, and expressive line work to build her compositions. Her process is spontaneous and energetic. 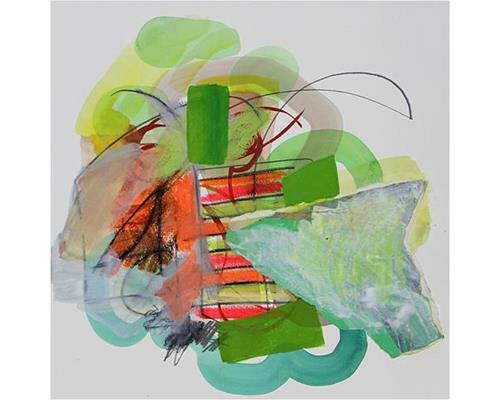 Starting simply with color and shape her work expands intuitively to include mixed media, unconventional materials, and collage. Staker draws inspiration from textile and design along with influences from her own mixed media collage works. 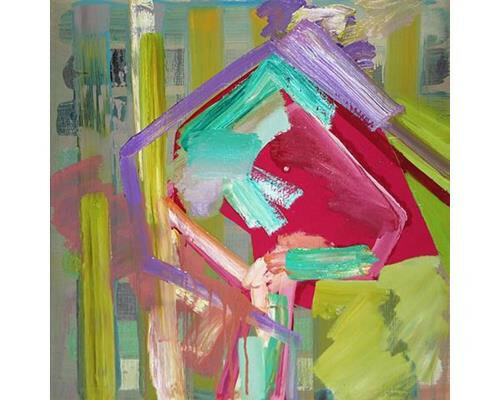 Pulling from recognizable patterns, she repeats and breaks apart the rhythm while introducing abstract, gestural, and painterly elements. Staker often employs the figure as a structural means from which to build a composition, introduce line, discover shape, and contain color. 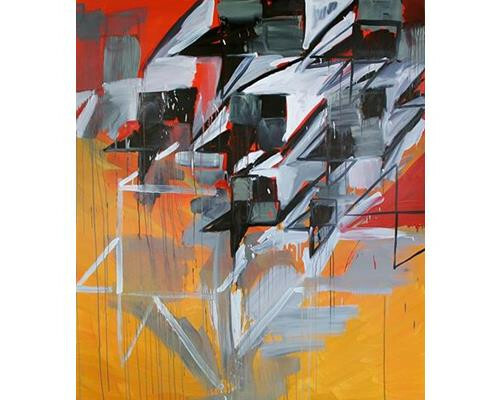 She explores how the figure can be integrated and evolve into a more abstract expression. Within these formal parameters Staker achieves clear and vibrant compositions. 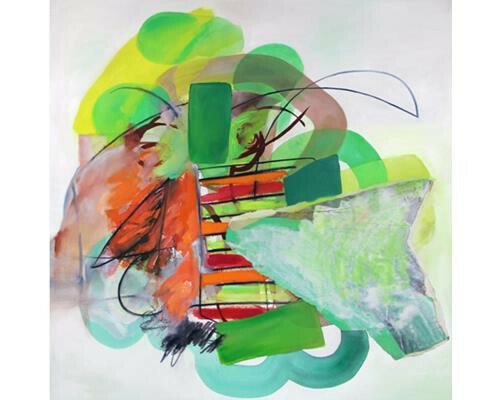 Pamela received her BFA in painting from the University of Illinois at Urbana/Champaign and has received several grants and awards including an Illinois Arts Council Fellowship and a CAAP Individual Artist Grant from the City of Chicago, Department of Cultural Affairs. Her work is represented in numerous private and corporate collections including The Federal Reserve Bank of Chicago, Vanderbilt University in Nashville and The Talbott Hotel in Chicago to name a few.